Not all casinos are created equally, especially when it comes to Android mobile casinos. There are some spots that are carefully crafted, complete with a support and banking system that compliments a solid software suite, and offer an overall great player experience. Other spots are quite the opposite. Their support and banking systems are suspect at best, which completely undermines the system and leaves players frustrated, or worse, ripped off. So what kind of casino is Black Lotus? Read on to find out. When I first visited Black Lotus’ casino website on my Android smartphone I was met with a great-looking splash page that was formatted very nicely to my screen. The setup for Black Lotus is very nice and the whole casino tailors itself well to both smartphones and tablets. I found the registration process to be very nice, as it only took me about 90 seconds to input my information into the platform and to get myself all ready to play. Players who have not registered with an online casino in the past will potentially take a bit longer, although the process is so simple that I can’t see it taking that much longer. Depositing at Black Lotus Casino brought me options that I wouldn’t consider to be fantastic, but if you are located outside of the United States you may see that your options are much, much better than what I found. I could only deposit through my Visa card. When I put my deposit in through my Android smartphone, I found that the process was fast and that my bankroll was instantly funded by Black Lotus Casino. Although the single deposit option is frustrating to me, I did see other options that players from other countries can use. These options include UseMyWallet, Giro Pay, Bank Deposit, PaySafeCard, and UKash. When it came to exclusive bonuses offered at Black Lotus Casino, I found myself given the option of claiming a 200% deposit match up to $250. My $100 deposit gave me a starting balance of $300 with the match, which is among the better bonuses that I have ever seen at an Internet casino. In order to claim this deposit bonus, you have to enter a bonus code immediately after getting your deposit settled. If you forget to do this, you must immediately go to customer service before playing a game in order to request the bonus, otherwise you may forfeit your ability to claim this great deal. 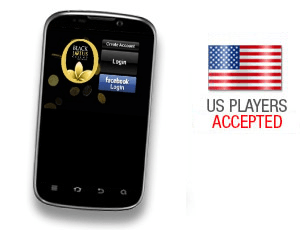 The games offered at Black Lotus Casino through its Android mobile site are excellent, with all of them being specifically designed for use on mobile devices. The offerings that I encountered on my Android device included slots and video poker. There were no table games present here, which is the biggest disappointment that I had with Black Lotus’ mobile casino. The PC version of Black Lotus has these games, and I really can’t see why something isn’t on offer for their Android casino. It just doesn’t make sense to me, and I was bummed that I missed out on Blackjack and Baccarat here. In terms of what it does offer though, Black Lotus has some really nice slot games. 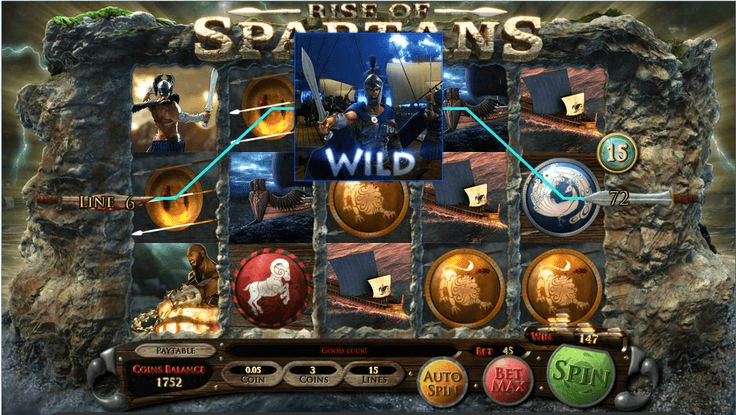 There are 29 different video slots available for both free and real money play through Black Lotus’ Android offering, with all of the games containing some sort of feature to enhance the traditional gameplay. 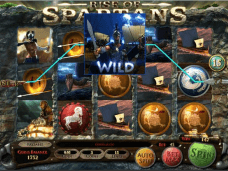 My favorite slots that I played during my test session at Black Lotus were Age of Spartans and Reels of Rock, although there were many other games that were also quite fun to play. Video Poker really isn’t my idea of fun, but for the sake of this review I spent a bit of time playing the games. While the video poker titles aren’t as graphically intensive as the slots, they do look quite nice on my Android screen. I had no issues with the touch controls of the games, and never hit a mis-bet in the half hour or so that I actually played the games. Before I deposited any money at Black Lotus though my Android phone, I ended up contacting the customer support team to inquire about any bonuses. I was happy with the fact that I could reach the team by telephone or instant message on my smartphone, and found that the messaging functional worked quite well. I was only on the support chat for about five minutes, but I am happy to report that I was able to connect quickly and got the answers I was looking for. The rep that I spoke to was very nice and accommodating, offering to help me with any issues that I may have. While the banking system may not be the greatest at Black Lotus Casino, I can honestly say that the support staff does a great job of making the overall back end of the casino come through quite well. 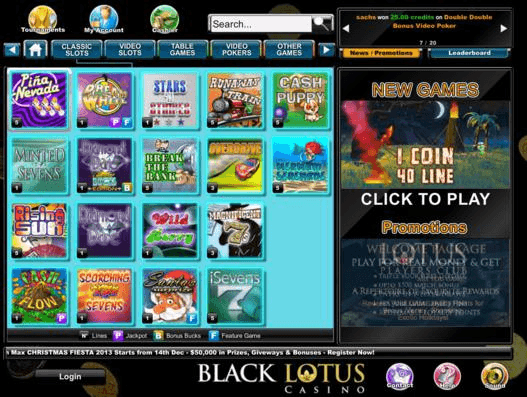 Overall, I feel that Black Lotus’ Android casino is a great place to play on the go. I really liked the way everything fit to my phone, with the slots being the obvious high point in terms of gameplay. 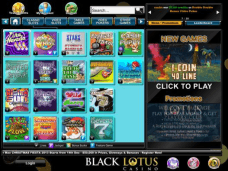 Black Lotus offers a great initial deposit and I feel that anyone depositing here owes it to himself or herself to claim this giant bonus, which is among the best that I have ever seen from an Internet casino. Although the banking system is a bit limited and there are no table games here, Black Lotus is an excellent Android casino that is well worth your time.